Lovers of lattes, fluffy little pups (lok all animals really) and beautifully designed weddings, we’re an enthusiastic team of wedding designers and planners who love what we do, and do what we love. Who knew, right?! Whether we’re meeting bubbly brides-to-be (and their wonderful hubbys-to-be, too!) or discovering the best in current wedding design, we can often be found creating innovative weddings for couples surrounded by light, laughter, and love. Our passion is in crafting those perfect little moments which so candidly capture the love between the couples we work with, and the weddings we design. 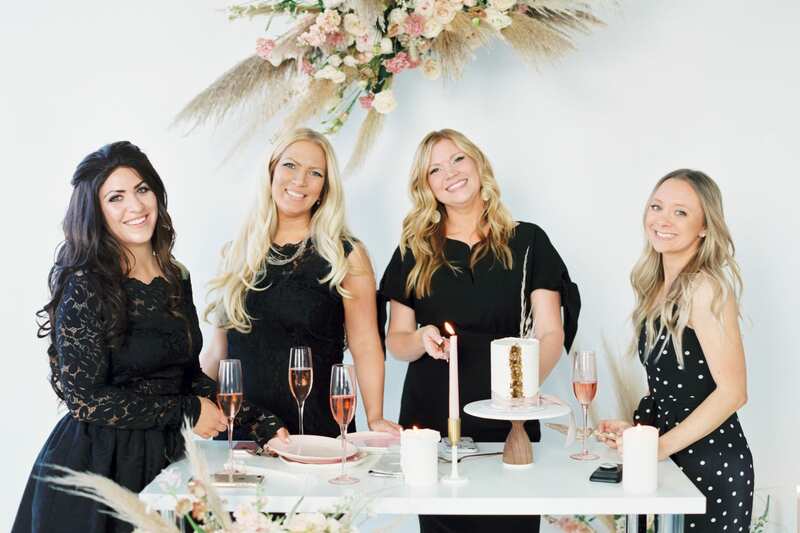 Voted top wedding planners by Seattle Bride Magazine (2017), we believe ourselves to be the luckiest gals in the world. Why? Through each wedding we create, we have the unique chance of pouring our hearts, souls, and passion into planning and designing every detail (big and small!) for your dream day. We give our all to the beautiful memories we help you create and cherish. What could be better than that? Since 2011, our team has been helping couples plan their perfect wedding day. 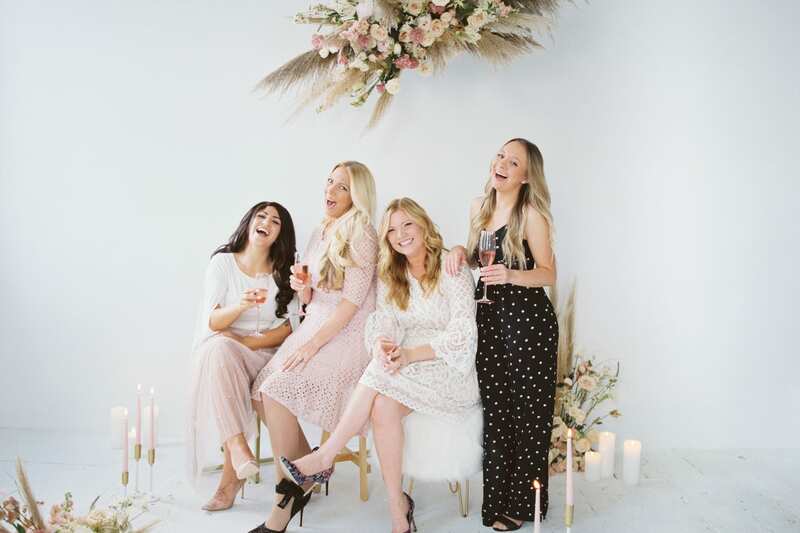 With over 140 weddings planned, and countless brides-turned-gal-pals, we’ve loved every moment of it and continue to offer designer services with a boutique feel for brides who dream of an unforgettable day. We can’t wait to meet you and become wedding day best friends! Lead Boss Babe. Hailing from Bellevue, Washington with my handsome husband (and SBTN accountant extraordinaire), now TWO sons, and our troop of rescue Westies . . . I feel extremely blessed to do what I love and love what I do! As a former Biology Major (Go UW! ), after being accepted into Dental School at NYU, I decided that was just not the path for me, and after a few different tested routes, I landed upon Wedding Planning and it is the PERFECT fit! I started this company with a blog, a logo and big dreams randomly one night, and it’s been over 8 years, and I’ve helped over 140+ couples get married. Best job EVER. Cheerleader, HR #bossbabe, event coordinator and sports team manager, there’s nothing Claire can’t do. Our team’s queen-bee of logistics, Claire has the uncanny ability to keep everything (and everyone!) on track without batting an eye, with an attention to detail that continues to wow both us and our clients. When she’s not cheering loud and proud as a Seahawks fan, hanging with her now HUSBAND Ryan, or creating memories of her own with her daughter Keilani, new baby Brady, and pup Jackson, Claire works with our brides-to-be as an event leader and amazing coordinator. A graduate from Western Washington University, Nicole is our in-house social media guru and go-getting event planner, bringing her background in communications and design to the SBTN team. Through her genuine personality and calm demeanor, Nicole makes our couples feel like they’re one of a kind; transforming their dream day into a reality. In her spare time, she can be found catching a little rest and relaxation with yoga, traveling the world, or simply enjoying the beauty of life with family and friends. Meet our bubbly, adventurous and super FUN Elle. Elle has past experience as a Wedding Photographer, but had realized that she wanted to move to the planning side. With this past knowledge of the Wedding industry, and all of her diverse jobs (like a tattoo artist- hello calligraphy!) she will bring a wealth of knowledge to any and all events! Elle has a can-do and calming presence that can diffuse any situation. Elle and her son Kale live in Redmond.